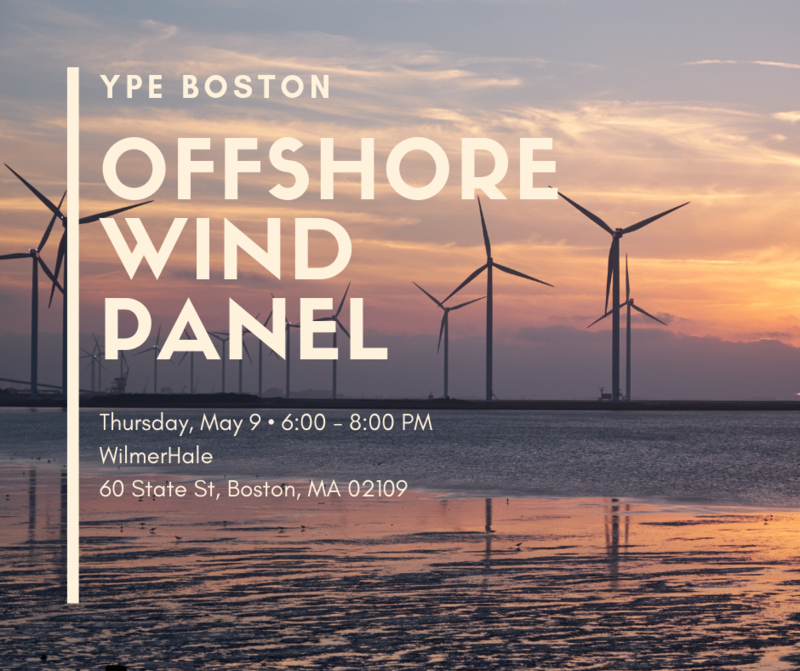 Join YPE Boston for an Offshore Wind Panel! 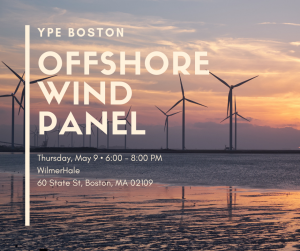 YPE is excited to announce that we will be hosting a panel discussion on offshore wind energy at WilmerHale later this spring! Our panelists and moderator represent a diverse group of stakeholder interests from the growing offshore wind industry here in Boston, from finance and development to engineering and manufacturing. Stay tuned for more details on the speakers in our next newsletter!